This tutorial will explain how to set up HTTP proxy on Internet Explorer Browser. 2. Click on the Internet Explorer Settings which is in the top-right corner of the browser window and then press Internet options. 3. A new window appears. 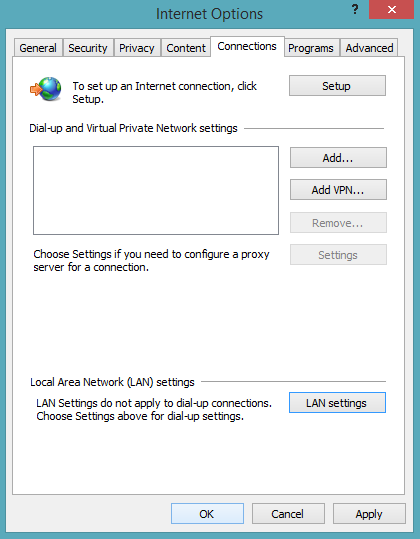 In the Connections tab click on LAN settings. 4. Another new window pops up. Check the box Use a proxy server for your LAN (These settings will not apply to dial-up or VPN connections). 5. In the Address field enter one of VPNExpress ’s servers addresses. You can freely choose any server you like from this list: VPNExpress Server List. 6. For Port enter 80. 7. Click on OK. Note: If you want to ensure a full privacy you should NOT check the box Bypass proxy server for local addresses. 8. Press OK also on the previous window. 9. When you will try to access a site you will be prompted for the username and password. Enter your VPNExpress Username and Password and click on OK. Finished! 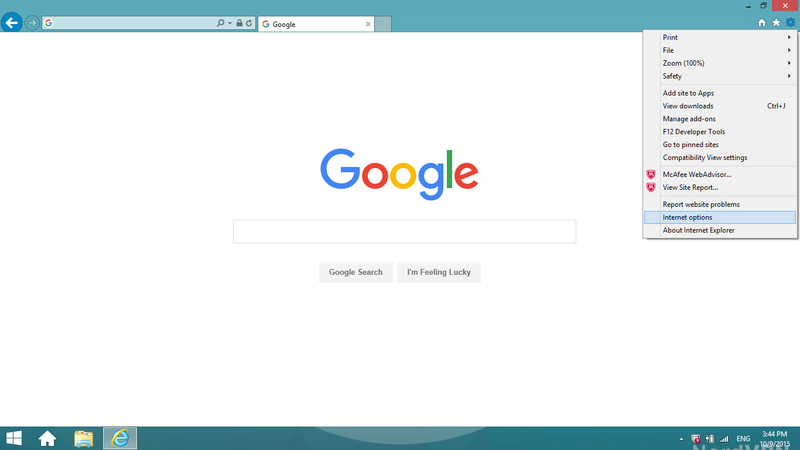 Now you can browse anonymously using Internet Explorer. To check whether it really works, go to What is my IP address website. 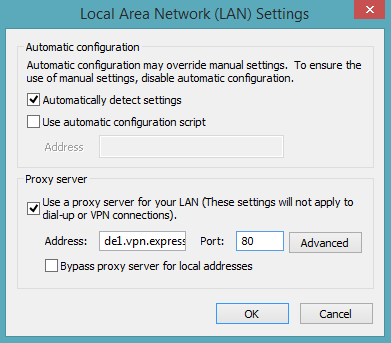 There you will see the IP address of your chosen server.